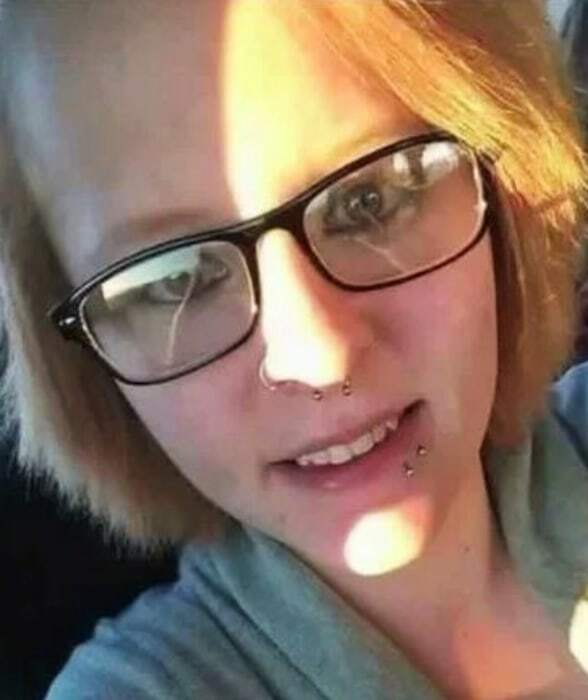 WASHINGTON — The Spotsylvania County Sheriff’s Office is looking for a missing 19-year-old woman named Katelin Akens. Investigators say she was last seen Dec. 5 when her family took her to the Franconia-Springfield Metro station and dropped her off. According to police, she was taking the Metro to Reagan National Airport to catch a flight to Arizona, where she lives. Akens never reached her destination, family members say. On Monday, Akens’ luggage was found in the drainage ditch on River Road, in Spotsylvania County, near the Fredericksburg city limit. Missing from the luggage was some clothes, some cash, and Akens’ cellphone, which hasn’t been turned on since she went missing, according to NBC12, in Richmond. “We don’t suspect right now there’s been foul play, but we don’t rule it out either, just because of suspicious circumstances of finding her luggage and some other items that may belong to her on the side of the road in an area of the county where she should not have been,” Captain Jeff Pearce of the Spotsylvania County Sheriff’s Office told the station. 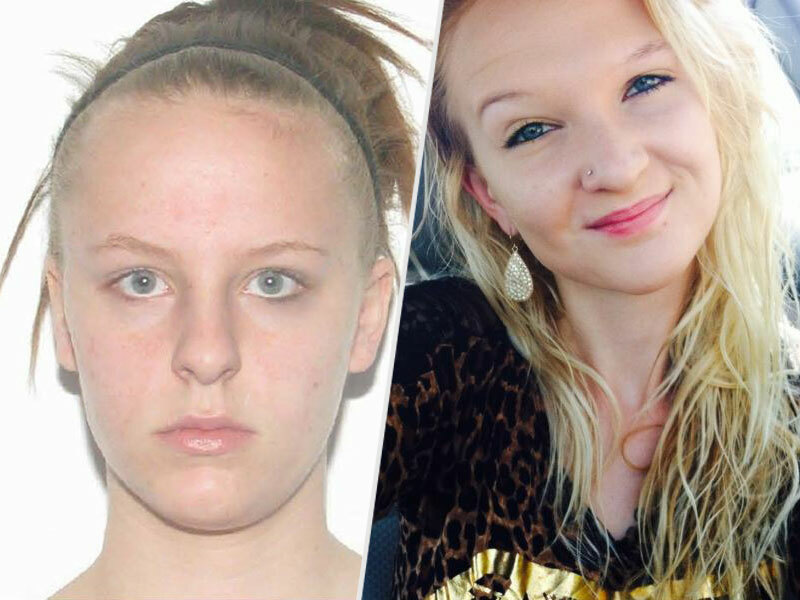 Those with information on Akens’ whereabouts should call Crime Solvers or the Spotsylvania County Sheriff’s Office. The information can be left anonymously. Call 1-800-928-5822, 1-540-582-5822 or visit www.spotsylvaniacrimesolvers.org. Text a tip: Text SEE911 to 274637. Katelin Akens had booked her flight home from visiting her family in Virginia for this past Saturday, to give the 19-year-old a day to relax at home in Arizona before heading to class for the week. Her step-father dropped Katelin off at a northern Virginia mall, reportedly at her request, near the Franconia Springfield Metro station. She was to take the metro to Regan National Airport to catch a 5:40 p.m. flight to Las Vegas. Her fiancé would then pick her up and drive them back to their home in Lake Havasu City. "She never got on that flight," Lisa Sullivan, Katelin's mother, told Dateline. "We just haven't heard anything and I'm really concerned for her safety at this point, like any other mother would be." Akens never checked in for her flight at the airport, despite a text from her phone to her mother Saturday afternoon saying she had arrived there safely. The mystery of what has become of Katelin isn't the only mystery in the area this week. On Sunday night, Heather Ciccone was found dead in her parked vehicle. She had been shot. Police have ruled her death a homicide. Several of her family members say someone had recently been stalking her. At this time, police have in no way connected Akens's disappearance and Ciccone's murder. Akens's trip to Virginia had been planned for months.The ticket was booked shortly after Katelin's sister announced she was pregnant. "She was here to meet her two-week-old nephew. She just loves babies," Sullivan told Dateline. "With her luggage being found and all, it just makes me wonder if she's been kidnapped or even alive… it's just hard to think about." Katelin Akens is described as 5'4" tall, weighing 112 lbs. with blonde hair and blue eyes. She has a blue tattoo on her left arm of butterflies and star tattoo on her right foot. Akens has a tattoo on her right foot of stars. If you have any information about Katelin's whereabouts, please contact the Spotsylvania County Sheriff's Office at (540) 582-5822 or you can text a tip by sending SEE911 to CRIMES. Authorities in Spotsylvania County, Virginia, are searching for answers after one young woman was found dead and another went missing last weekend. Katelin Michelle Akens, 19, was last seen on Saturday after her stepfather dropped her off near a commuter rail station on her way to the airport. She was due to fly back to Arizona, where she'd been accepted to beauty school. But she never even made it to her flight. On Sunday, 21-year-old Heather Ciccone was found dead in a car parked in a stranger's driveway. She'd been shot in the back of the head. Her death has officially been ruled a homicide, according to the medical examiner. Captain Jeff Pearce of the Spotsylvania County Sheriff's Office tells PEOPLE there's no connection between the two cases, emphasizing, "It's just an unfortunate coincidence." But the dual mysteries have left the community shaken, particularly after Akens' luggage was found in a drainage ditch near Fredericksburg on Monday. SPOTSYLVANIA, VA (WWBT) - The fiancé of a missing 19-year-old is speaking out with an urgent plea to help find her loved one. It comes as investigators work to gather new information into Katelin Akens' disappearance. "She flew out there on the first and she was supposed to come back here on the fifth," Amber Rios said from her home in Arizona. She and Katelin moved there last year. She says her fiancé, who she knew since they were young children, was excited to travel back to Virginia for a few days. "Her sister just had a baby, so she was going out there to meet her nephew,” Rios said. Saturday, investigators said her stepfather dropped her off to catch a metro outside of a Northern Virginia mall which was supposed to take her to the airport. She never boarded her flight, despite a text message sent to her family saying she made it to the airport. Deputies are now reviewing surveillance video from outside the mall to find clues. "I couldn't imagine having a daughter and all of a sudden [wondering], ‘Where has she gone?’” said Cincy Emch, who works along River road in Spotsylvania. FREDERICKSBURG, VA (WWBT) - Family and friends continue search efforts for Katelin Akens, the 19-year-old who was last seen in Spotsylvania County on December 5th. The event was organized by Help Save the Next Girl and was specifically targeted towards a shopping center near the area where Katelin's luggage was discovered earlier in the week. Katelin was originally from Caroline County, but currently lives in Arizona and was set to start Cosmetology School on Monday. She was visiting the area to meet her nephew for the first time. "It means a lot that she has a lot of love going around, a lot of people care for her," said Gabrielle Akens, Katelin's sister. Anyone having information concerning the whereabouts of Katelin Akens is encouraged to call the Spotsylvania County Sheriff's Office or Crime Solvers. The information can be left anonymously.